Here we display a graphical ticker of granular sentiment for securities, where the user navigates various views of the sentiment’s effect. 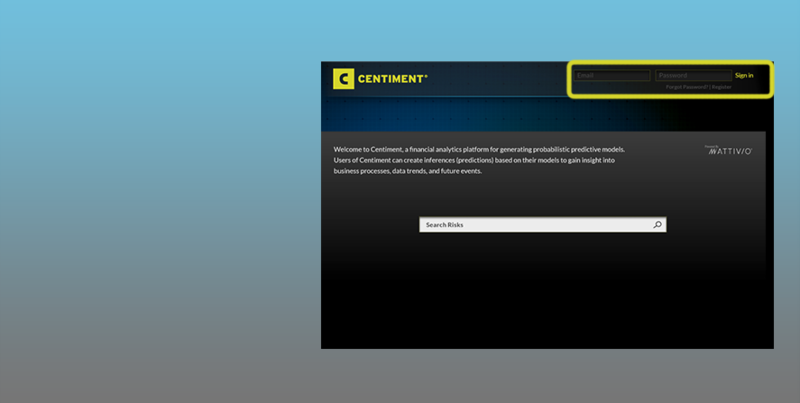 The dashboard comes in two versions: ‘Basic’ and ‘Professional’. 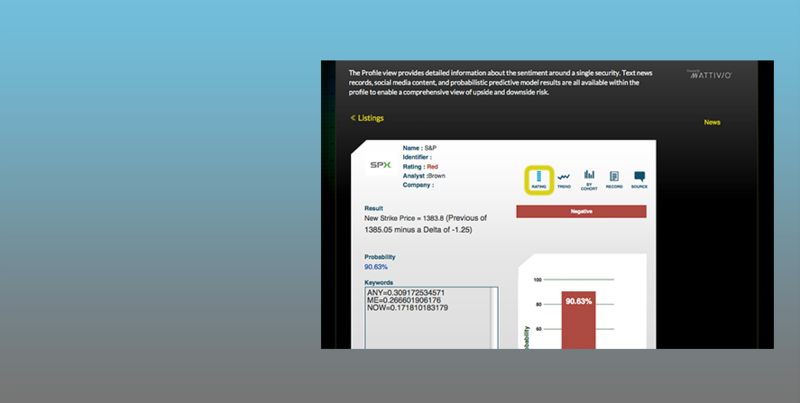 Users are presented with an overall statistical rating, with supporting statistics, as well as analyst notes. Rating: the prediction of risk on a given day or time. Trend: the chart of predictions for the security vs. the actual security values. By Cohort: the comparison of a basket of similarly classified securities. 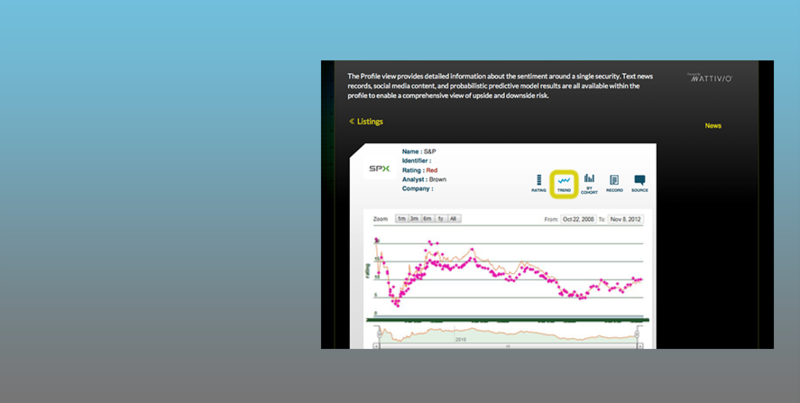 Record: an area for analyst annotated notes on the subject. Result: this model predicts a Forecast Delta, which in this case is negative 1.25. There is a corresponding visual graph on the right that says ‘Negative’. Previous Price: a made up value for the price of the security (such as SPX options or E-Minis). 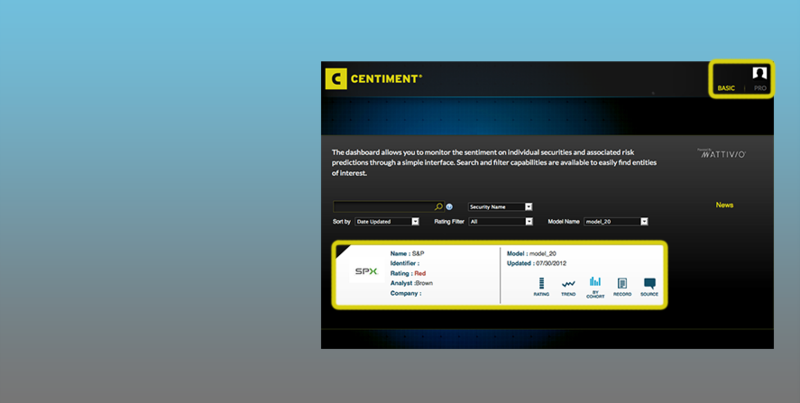 Probability: the probability (statistical confidence) in this particular rating. 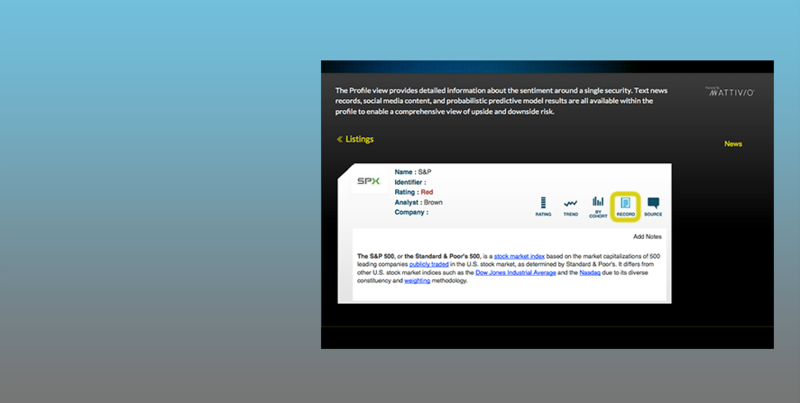 We can visualize where SPX’s rating is in relation to the other user profiles. 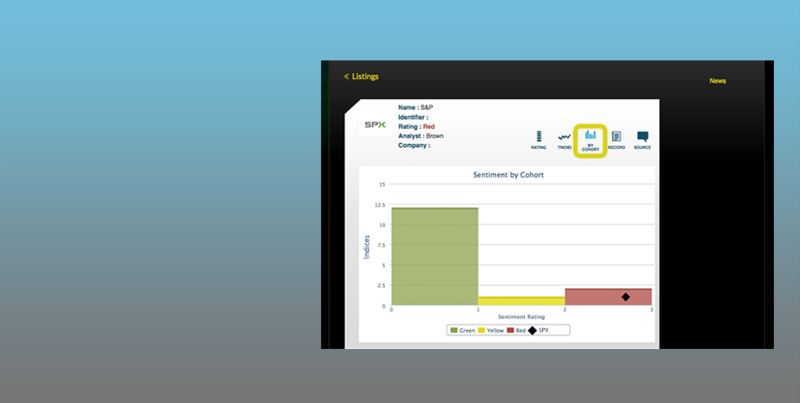 Analysts can add notes, specific to the securities they are observing. The combined analysis of online text, as well as the annotated observations, provides a broader picture of text driven risk. 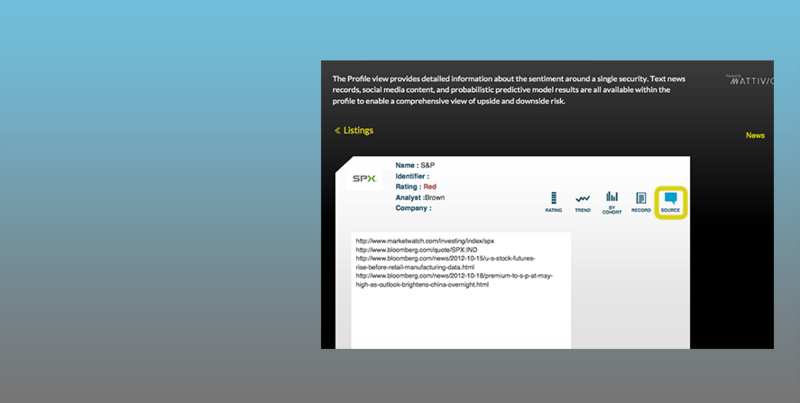 If a risk profile suddenly changes, or if we want to drill down on specific wording or phrases, we can view the original content from the various source networks. Note: Functionality restricted for Bloomberg users.